Action, you blink and it’s gone! That one moment from your favorite game, split second’s wow moment of a street dancer or the moment sun sets below the horizon. A moment missed is a moment gone and it is not just about clicking the moment but getting it right. And, all decisions are made in an instant. There is no doubt on action cams popularity amongst the adrenaline junkies and athletes. Action camera has put all together a new twist for this niche. High resolution, wide angle, compactness of a sport cam makes it all compelling to create shareable content on social media. Follow these pro tips to get your filming started. Imagine viewing a whole trip video from just one angle. It can sure be monotonous while your trip wasn’t. So what is it that you are missing here? On your trip, let’s say a bike trip to Himalayas, it will be a day or two trip. Why not to get creative with where you mount your camera? It doesn’t always have to be on top of your helmet. It can be placed with an extension on helmet or on your handle bar even placing on chest can give different perspective. Now we know what is in our front but what happens when we cross the most difficult trail of our trip. Now think of turning around the camera towards back. And, why not think of placing on foot stand, on pillion seat. It’s all about being creative with perspective. Hope you have got the idea now! This will definitely give you variety of shots that can be edited together. Pro tip: If you are unsure of your framing always keep wider field of view, but if you have more control over framing then my dear friend you can go ahead with narrower one. Ever faced a situation where you traveled a long way recording your entire trip. Let’s say you even captured the trip in different angles. But wait! Reaching at the peak of the mountain expecting the availability of power makes you a little demanding. What now? You exhausted only battery you got recording the trip. Was it enough? How will you capture the star gazing moment atop or witnessing the mesmerizing bird registered in dangerous species? Need say more? Always always carry extra battery along. Pro tip: Do not keep them exposed to extreme hot or cold temperatures. This is because extreme temperature depletes the battery faster. Story is not how you shoot but it is the what! A good story is not built on how proficient of a photographer are you? If you do not have a story board aligned prior you will never get the perfect output. Even DSLRs or high end cameras are a failure in that case. A good story is a backbone of any good video/album. Before clicking a picture please think what does your final outcome needs? Do you have all the equipments, locations, concept clear to you? It’s never too late! Start jotting down these pointers does the research and you are good to go. Pro tip: Research is the key to make best use of your time. Extra is not always that bad! Once your story board is set, if you are abiding by the script and timeline. No harm in experimenting. Extra footage would not hurt here. Sometimes ideas occur on the spot. This can help you fancy up your current video or might just get content for a complete new video. Pro tip: Well try to complete the project first! 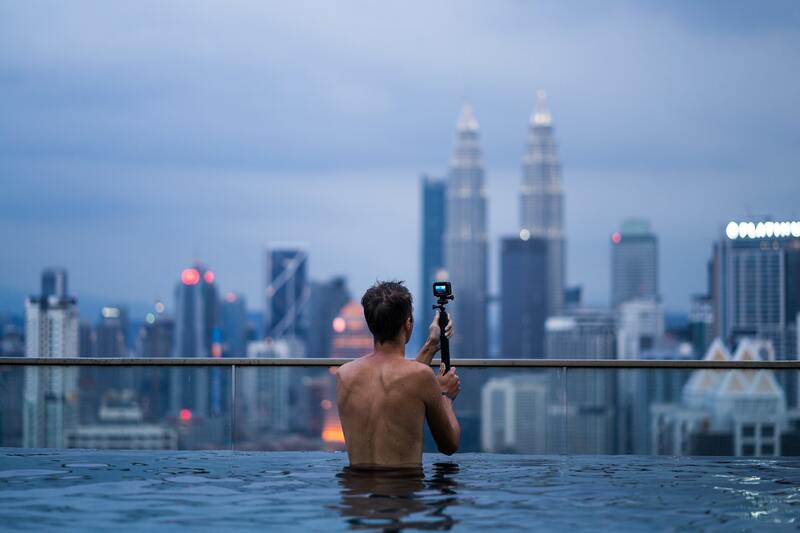 Now if you had read our article on why action cam accessories are important you would understand the gravity of this point. STABILITY! No matter how expert of a photographer you are, stability with action cams are highly important. As compact they are by nature the stability gets difficult. Now these cams are equipped with accessories such as head mounts, handlebar mounts, chest belt, floater etc they all offered to capture your unstable actions with high stability! Intended for fast-moving sports, action cameras are designed to be turned on with a single movement. If your camera includes this option, change from a resolution of 30 frames per second to one of 60 frames per second before attempting a spectacular pass or executing a particularly interesting maneuver. Pro tip: The human eye won’t spot the difference at normal speed, but the speed of 60 frames per second will enable you to produce slow motion sequences when editing your film. These tips are to just give you the direction, the path is yours and the journey too. Capture the most of it, endure it, love it and enjoy it. Submerse yourself to the beauty of present and record it for others. Get creative with Procus Epic and Rush.